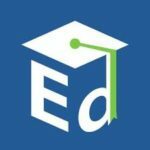 Every year, the U.S. Department of Education recognizes the top high school seniors across the country through the U.S. Presidential Scholars Program. This 60-year-old program was expanded in 2015 to include students who excel in Career Technical Education (CTE). This year, there are 227 candidates for U.S. Presidential Scholars in CTE, up from 209 last year. The 2018 candidates hail from 47 states, as well as the District of Columbia and Americans Abroad (U.S. citizens living abroad). The application and approval process is rigorous, to say the least. A U.S. Presidential Scholar in CTE must be nominated by their Chief State School Officer (CSSO), who can nominate only five students. All candidates then complete an application that includes transcripts, a secondary school report, essays and self-assessments. Candidates are then evaluated for academic achievement, character and leadership by a review committee of secondary and postsecondary education leaders. The review committee selects the semifinalists from this group, and the Commission on Presidential Scholars, a group of independent individuals appointed by the President from across the country and spanning a range of professional backgrounds, asses the remaining pool to choose the finalists. The Commission selects only 60 CTE semifinalists and up to 20 CTE finalists. From the current pool of candidates, the review committee will announce semifinalists in April and the Commission will select finalists in May. The final U.S. Presidential Scholars will be invited to Washington, DC to be honored at the National Recognition Program. During their visit, they will spend one week with scholar alumni while they tour the city, hear from elected officials and view performances. Wondering who from your state is a potential Presidential Scholar? Find out here. This entry was posted on Thursday, February 8th, 2018 at 12:24 pm	and is filed under Uncategorized. You can follow any responses to this entry through the RSS 2.0 feed. Both comments and pings are currently closed.